Pillow Queens On World Cafe The Dublin four-piece band sings clever lyrics in loud and proud Irish accents. We had a blast visiting this Irish four-piece band Pillow Queens at the iconic Windmill Lane Recording Studios in Dublin. 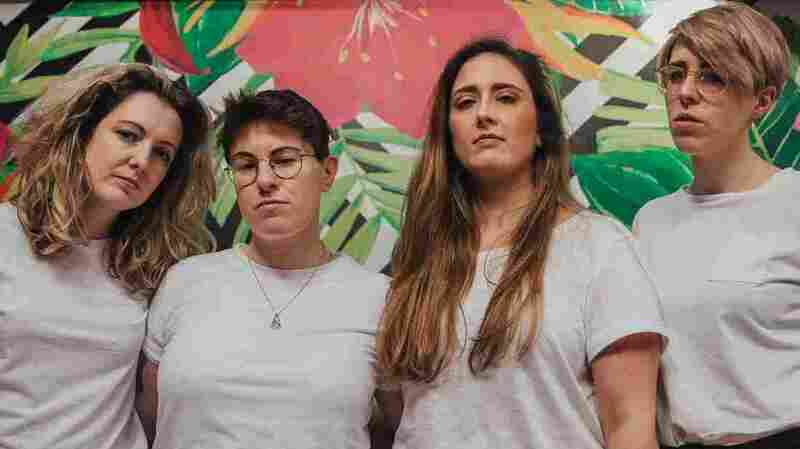 Pillow Queens has a delightfully DIY approach to pop punk and the band's songs are sneak-attack catchy. We found ourselves singing them long after the last amp rang out. Plus, the members sing clever lyrics in loud and proud full-on Irish accents. Pam Connolly, Sarah Corcoran, Cathy McGuinness and Rachel Lyons formed the band in 2016 and sold out their first-ever show. In this session, they discuss how Ireland's recovery from the recession has impacted musicians, perform the song "Gay Girls," which was nominated for Ireland's RTÉ Choice Music Prize for Song of the Year, and talk about why queer representation on stage matters.